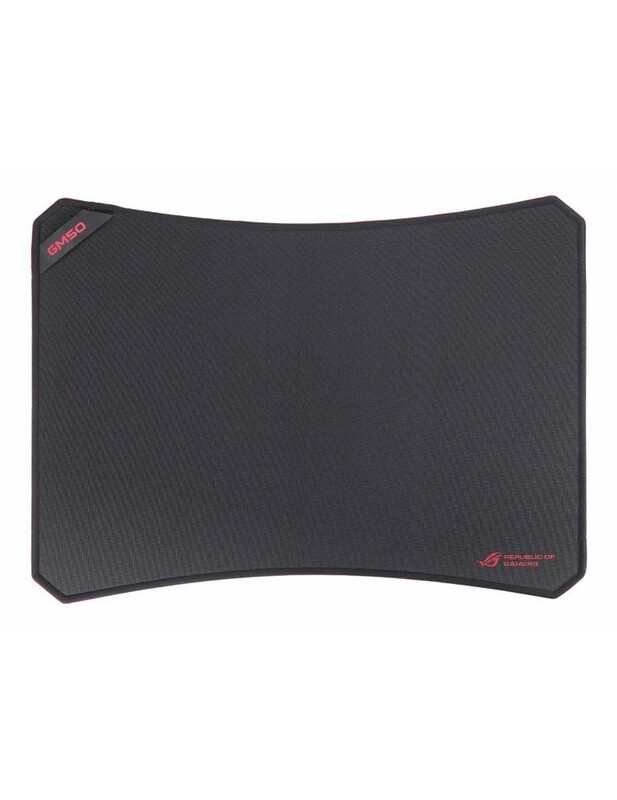 ROG GM50 mouse pad is made of a special-weave premium cloth with a lab-tested low-friction coat designed to improve on the tracking capabilities of any optical or laser mouse. At 3.5mm thick, it is tailored to be comfortable for gamers and also features a non-slip rubber base that secures it to any surface. The GM50 mouse pad features the classic ROG colors and a unique polygonal corner design that prevents fraying. There is also a cable loop to ensure mouse cables don’t get entangled in the heat of battle. A multi-layer anti-bacterial coat also helps eliminate up to 99.9% of bacteria. A special-weave construction features paralleled grooves that increase mouse accuracy and precision. Use of premium cloth provides a low friction surface for smooth mouse control. High quality non-slip rubber base secures the mouse pad in place. The maximum anti-slip capability is up to 0.7 (Pmax+ Pmin)/W . Echoes the ROG eye logo. Red thread is used so that the GM50 features the ROG red and black color scheme. A anti-fray sewing method is implemented, with a density of 11pins/cm² on both the upper and lower sections.